Kingdom Hearts 3 will be releasing in western territories on January 29, 2019. Those who preorder the game from Gamestop will receive an exclusive collectible fabric poster while supplies last. Update: Gamestop has shared images of 3 versions of the posters that fans can vote on, with the winner being the preorder bonus. Comment on the tweet with #KH3ToyBox, #KH3Monstropolis or KH3Arendelle. Anyone know what the poster looks like? looks like I will have to pick and choose where Im preordering. How many versions of this game will they make me buy!?!?!?!?!?!?!?!??!?! I guess that's the poster image? Their site's really unclear about it though. Whatever it is, I love the idea of a KH3 poster so much, might have to preorder it here. I have no idea where I'm gonna pre-order the English version from at this point. Legit will buy the game and return it. New item returns help GameStop staff, so never feel bad about it! Does it come with a pre-order of the deluxe edition or just the standard? It will be with either version of the game. That is one great looking full render of Sora, if only the background was sparkling. Might just pre order, but I'll wait to see if they have a planned KH3 box art of some sort, poster. Iâ€™ve already ordered the Deluxe Bring Arts Bundle, preordered digitally, and from Amazon in order to use my Amazon Prime. I wonâ€™t be surprised if I end up going for this as well. Iâ€™m probably gonna end up buying this game like 7 times when allâ€™s said and done. I'm so conflicted. Digital gets a special keyblade and theme. Physical gets a poster. I want physical, but also want the keyblade and theme. I'm bummed about the theme, but I'm happy I find the weird PS and Xbox Keyblades to be tacky looking lol. So less sad I already pre-ordered the collector's edition. I was going to order the deluxe edition from Gamestop anyway. But I have no place to put the poster. Eh, guess I'll have to be happy with my poster. But... THAT IMPOSSIBLE ODDS THEME, THOUGH!!! Bump for update: Gamestop has posted 3 versions that fans can vote on, the winner being the preorder bonus of course. 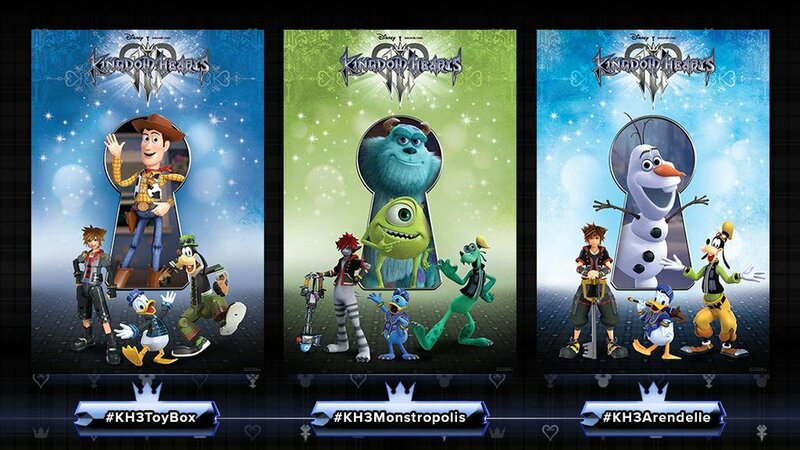 Comment on the tweet with #KH3ToyBox, #KH3Monstropolis or KH3Arendelle. Really hoping for the Monstropolis poster, but I'll take Toy Box as well. Just taking a quick glance, but it seems like Toy Box might win. Can't believe they made such an amateur mistake of not putting Elsa on the Frozen one. I've never been a figurine fan, already have a ps4, so I'll be getting this. I'm ok with not getting everything, the game is most important. I don't think I'm going to preorder from Gamestop just for a fabric poster that looks like any of those. If I have a friend interested in the game I might ask them to grab it for me since none of my irl friends are as interested in Kingdom Hearts as I am. "Hi, everyone, I'm Olaf and I like to eat children!" Now, I'm just wishing they had stuck with the simple layout of the teaser in the OP. Hah! None of them look great, but Arendelle's is the worst looking. Looks like I'm going to preorder through Square them selves. I usually do GameStop but those posters just look bad. All of those are pretty mediocre tbh. Should've just gone with the renders of normal SDG with the plaid background. monstropolis is the best one. not sure where exactly I'm getting mine from because I'm scouting for the pro bundle but its nice to keep this in consideration- fabric poster, dope renders, free. not gonna complain. How much you wanna bet it's going to be the Olaf poster. As much as I've seen Frozen so many times that I despise it with every fiber of my being, I'd still keep the poster. I guess whatever it is I'll be happy so, yay poster. Yeah they do look incredibly terrible but I already paid awhile ago so I'm getting it either way. I would vote for the Toy Story one, but having only Woody in the keyhole was a really bizarre design choice and I don't really care for it because of that. Also kind of weird that Elsa isn't with Olaf on the Frozen one either. So I ended up voting for the Monstropolis one. Really wish they had a Pirates one, because that would be my pick. Agreed here, if there was a Pirates poster I'd vote for that in a heartbeat. I guess they put Olaf there because when Frozen came out there was so much craze for Olaf, everywhere I looked I saw Olaf. There was so much Olaf I kept seeing that after awhile I literally got sick of it, I mean Olaf can be adorable but I was officially done seeing Olaf everywhere I freaking went. And Toy Story, yeah they screwed up on that opportunity to at least put Buzz Lightyear with Woody. To all honesty with these posters, I expected a better design but with Monstropolis, that's the only one I like because it at least has both the main characters (though it would have been nice to have had Boo included with). But with how many Frozen fans are out there, I wouldn't be shocked if Arendelle is the winner. I also concur that a pirate poster would be best. SDG's pirate renders are super sassy and hilariously badass. 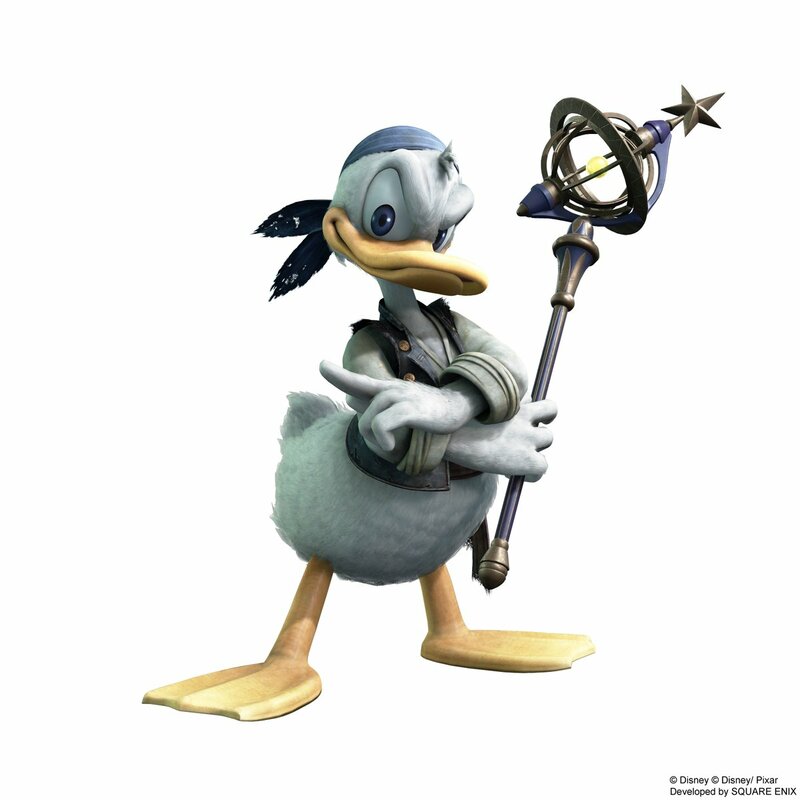 Look at Donald! Little man's got bad intentions! Disney marketed Olaf a lot (before and after release) because he's easily marketable to girls and boys (whereas marketing the Princesses/Elsa is more geared towards girls) and he's responsible for a lot of Frozen's comic relief. I'm really not surprised that they picked him over her. The posters are meh. It is now up to the box art for me. If it's lit, then I'll probably buy physical. If it's plain and boring or anything like the placeholder artwork, then I'm going digital. I know the poster pre order is a mixed bag with well any of them but Toy Box won, wonder what's to be for the other two?